Did you know that just taking a single vitamin could possibly do worse for you than good? Becoming too focused on one type of vitamin or nutrient can have you overlooking some important stuff. Some people think, for example, if they are feeling tired, that they can simply take iron or vitamin B12 to build energy. That is not always the case. 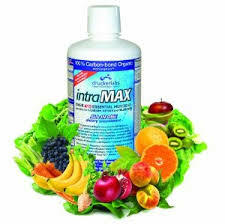 Did you know for optimal health that your body requires, in proportion, a certain amount of vitamins and minerals? This condition (the nutrients being in proportion and working together) is synergy, and there’s a way to tell if you’re lacking — and what you’re lacking — when it comes to synergy. A blood test called micronutrient testing, done on your white blood cells, can give detailed insight on what nutrient(s) your body is deficient in. Too much or too little of each nutrient could lead to low energy levels, allergies, migraines, arthritis, chronic fatigue, depression, and more. Taking the guesswork out of the equation, a micronutrient test will allow your doctor to determine what actions to take in correcting these issues. You can have this test done at Alternative Health Clinic of Myrtle Beach. Getting too much of one or more nutrients can potentially cause problems. According to WebMD, scientists are not sure yet if routinely getting a little bit too much of a vitamin or mineral can be harmful as opposed to getting mega-doses, which “are” harmful. Depending on the nutrient(s) abroad though, going over in small doses, can show subtle signs of difficulty sleeping or concentrating, nerve problems such as numbness or tingling, or feeling more irritable. After testing and getting you back on track, your doctor may advise an all-in-one dietary supplement or multivitamin such as intraMax. It has 71 organically bound trace minerals, vitamins, macro-minerals, herbs, antioxidants, digestive enzymes, essential fatty acids, and more. The focused goal is nutritional synergy. Eating the proper proportions of foods and utilizing all-in-one supplementations can accomplish this. Vitamin D – exceeding the daily 4,000 IU can cause serious heart problems. Calcium – too much calcium can cause constipation, kidney stones, get in the blood stream, indicating parathyroid disease, and more. Folic Acid – exceeding 1,000 micrograms may hide signs of vitamin B12 deficiencies. As crucial as it is that we intake all essential vitamins and minerals for good health, it is equally crucial that we intake these nutrients from a synergistic approach. Being deficient in one area does not necessarily mean that we should be supplementing that nutrient. It could as well mean that the nutrient needs another to assist the body in absorbing the deficient nutrient. Because too little or too much consumption of any specific vitamin can do you harm, it is wise to have a specialist give you a micronutrient test and began watching your daily IU consumption.